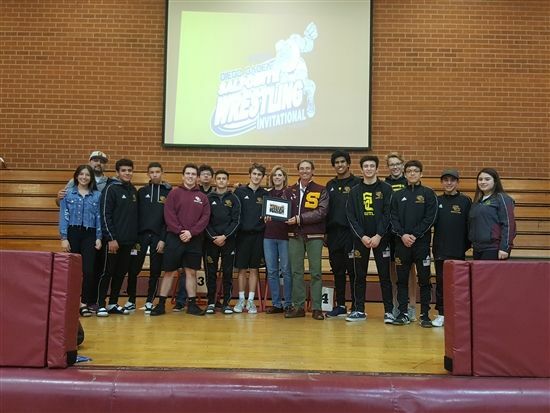 Salpointe Catholic Wrestling hosted 23 schools on January 25-26, 2019, for the Diego Gadea Invitational. 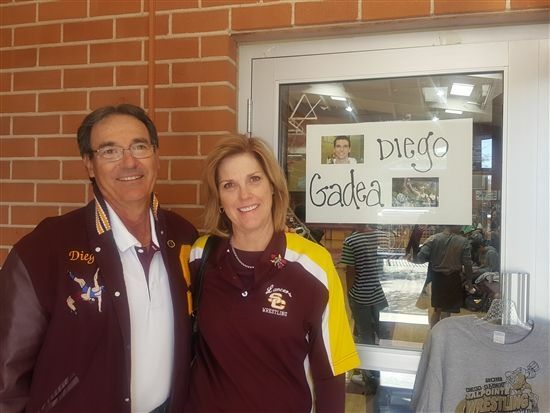 The annual Invitational is named after Diego Gadea, a Salpointe student who took his life in 2011 after battling depression. Diego's parents, Jeannie and Manuel, spoke to hundreds of attendees on Saturday morning. Salpointe's wrestling team ran from the school campus to Evergreen Cemetery to visit Diego's grave and reflect on his life. “It’s always emotional to walk back into this gym for this tournament and talking about it will always bring tears to my eyes,” Jeannie said. “I really admire Salpointe for having the courage to bring us here and bring awareness to Diego’s life and his depression."